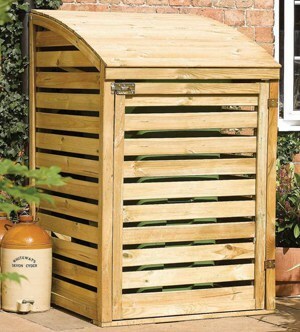 This attractive storage for a wheelie bin is made from pressure treated timber to protect against rot. With a lifting lid, fitted with chains, and opening front panel, easy access is given to the wheelie bin. 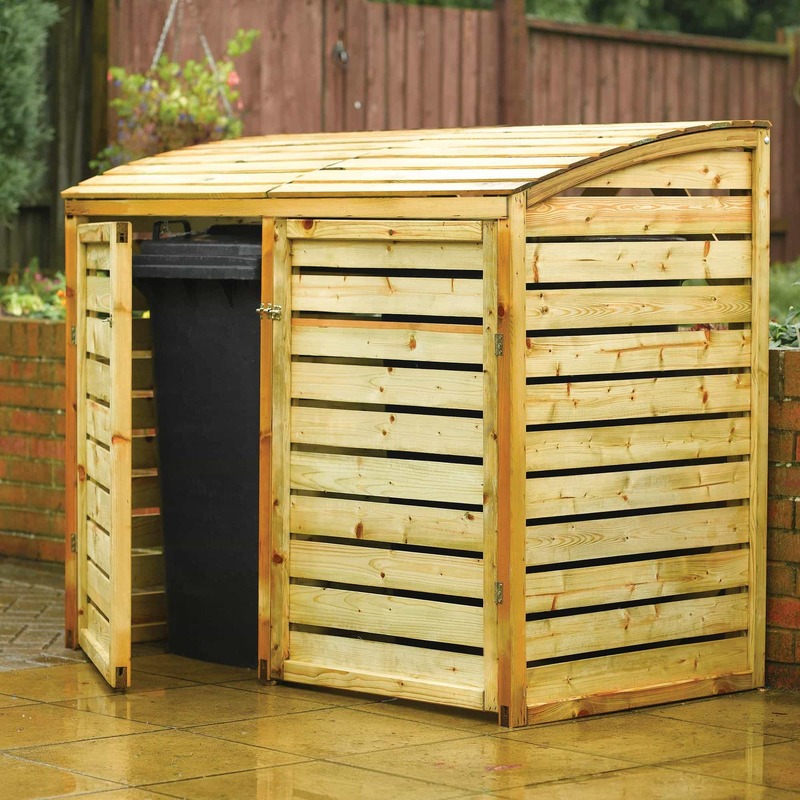 Dimensions: 1.28m h x 800mm w x 820mm d and able to hold maximum bin size of 10.6m h x 740mm w x 740mm d.